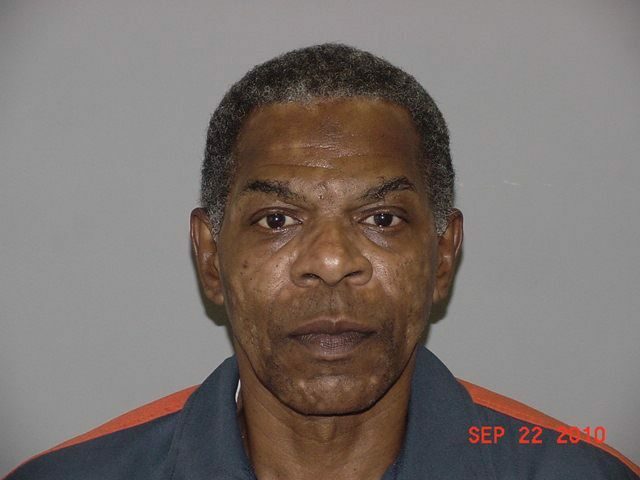 DETROIT – A ray of light has broken through the mean clouds surrounding Michigan’s draconic juvenile lifer re-sentencing processes, in the case of Zerious Bobby Meadows. On Sept. 23, Wayne County Circuit Court Judge Bruce Morrow re-sentenced Meadows to a term of 25-45 years with a time-served credit of 16, 930 days. The sentence was signed off on by Chief Criminal Court Judge Timothy Kenny. It should have meant Meadows’ immediate release. 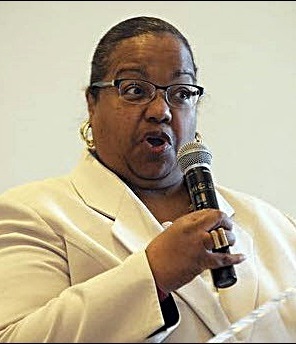 However, Wayne County Prosecutor Kym Worthy appears determined to exact every pound of flesh possible from the county’s juvenile lifers, even if it means their dying in prison. She appealed Judge Morrow’s re-sentence of Meadows, without giving notice during the hearing. She claims that state statutes governing juvenile lifer re-sentencing MANDATE a maximum term of 60 years for those for whom the prosecutor does not re-recommend JLWOP. She has also asked for his case to be re-assigned to another judge. The case has now been stayed pending an appeals court decision. 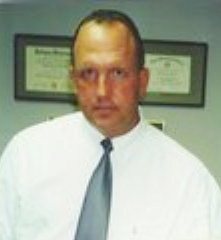 Wayne County Circuit Court Criminal Chief Judge Timothy Kenny. Mr. Meadows was sentenced to juvenile life without parole (JLWOP) for a crime of felony murder committed in 1970 when he was 16. He has now served 47 years in prison and is 62 years old. He has a stellar prison record, with only 3 misconducts in 47 years, the last 20 years ago. He also has a large number of family members and friends ready to support him on release, according to his attorney Melvin Houston. At the time of Meadows’ sentencing on re-trial in 1975, then Recorders Court Judge Susan Borman challenged the practice of sending children to die in prison. 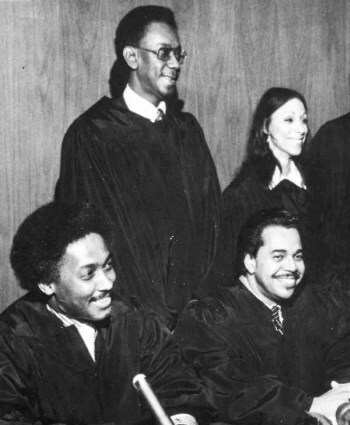 Recorders Court Judge Susan Borman (top r) with others inducted into Recorders Court in 1973 including noted Judge James Del rio (seated at right). Those juvenile lifers include individuals like Edward Sanders, who brought Meadows’ case to VOD’s attention, and David Walton. With regard to Meadows, Atty. 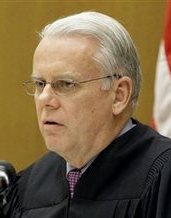 Houston told the Court of Appeals that recent court decisions are not in line with Worthy’s stance. 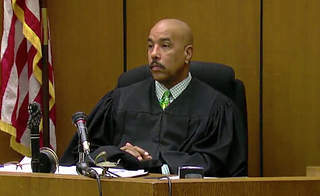 He cites a 2016 decision by the Sixth Circuit Court in Starks v. Easterling, which says, “lengthy sentences that approach or exceed a defendant’s life expectancy, regardless of whether that sentence bears the title ‘life without parole,’ constitutes ‘cruel and unusual’ punishment when imposed on youth, and violates the constitutional mandates of Miller and Montgomery.” Wayne County is within the Sixth Circuit’s jurisdiction. Former Michigan Gov. 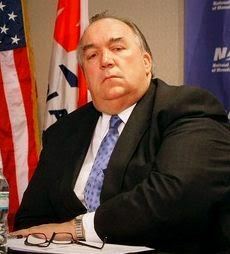 John Engler made parole nearly impossible. 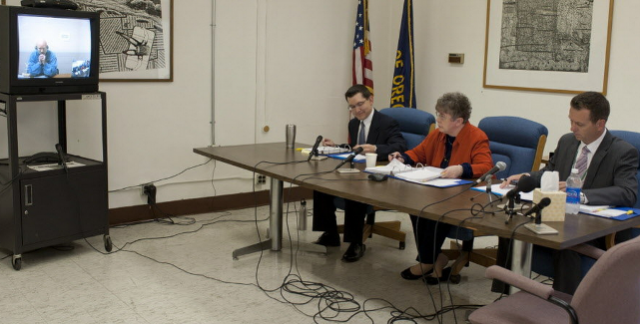 Stephen Marschke, head of Michigan’s first Engler-appointed parole board. Attorney Houston responded to the prosecutor’s appeal of Mr. Meadows’ re-sentencing under MCL 769.25a(4)(c). 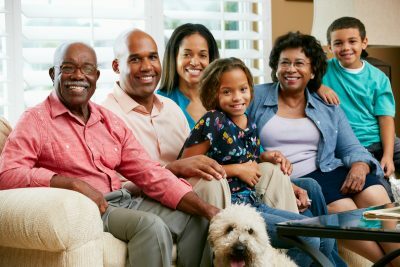 “This supports the legislative intent to treat those who had already served long, unconstitutional sentences, like Mr. Meadows, and for whom the court had the opportunity to review the evidence of behavior and rehabilitation after years (in this case 47 years!) should have the authority to render a proportional sentence based on the evidence,” Atty. Houston writes. As one precedent, he cites an unpublished decision by the 13th Judicial Circuit Court of Florida, which struck down a state statute requiring a mandatory minimum sentencing of 40 years for juvenile lifers there, calling it unconstitutional. 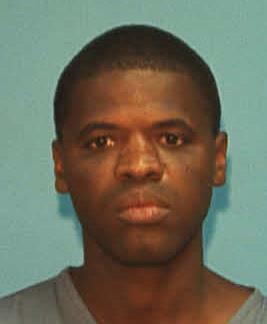 The case is State of Florida vs. Christopher Burton. Houston says Mr. Meadows at the age of 62 is not the same person he was at 16. “Mr. Meadows was a juvenile when he was arrested in this case and has since matured into an adult; in other words, the person convicted of setting fire to the Turner’s home back in 1970 is not the same person who was resentenced on September 23, 2016. Mr. Meadows completed his G.E.D., as well as some post-high school education while incarcerated. He has also completed both AA and NA programs offered by the MDOC. Meadows has extensive family support, says his attorney Melvin Houston. The Appeals Court panel that will rule on Mr. Meadows’ re-sentencing is composed of Christopher M, Murray, Presldlng Judge, and Judges Karen M. Fort Hood and Michael J, Riordan. This entry was posted in Uncategorized and tagged FreeZeriousMeadowsNOW. Bookmark the permalink.